OneLab is a web based platform designed to enable RAPID dissemination of scientific findings, foster OPEN peer commentary and promote COLLABORATION among the research community. Widespread participation in OneLab will increase the quality, transparency and reproducibility of data thus ACCELERATING the pace of scientific discoveries. The result will be a streamlined process from the bench to the clinic with tremendous benefits for the WELL-BEING of the general public. 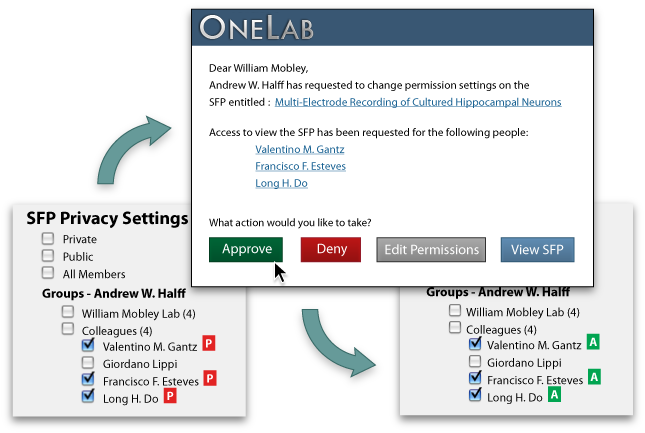 ONELAB is a private professional network that mirrors the HIERARCHY of real world research laboratories. Users are designated as either principal investigators (PI) or lab members. PIs can invite lab members to join and data posted by lab members cannot be shared without PI approval. In this way the PI retains FULL CONTROL over the dissemination of scientific content thus safeguarding the primacy of authorship. This professional network will serve as a backdrop for sharing scientific findings, promote collaborations, and provide a basis for open peer commentary. 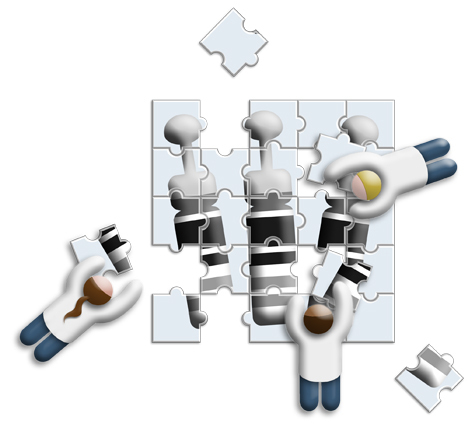 At the core of OneLab is the Single Figure Post (SFP), a small but complete unit of scientific communication. The SFP includes a descriptive title, a figure legend and an unconstrained material and methods section that allows for a greater reproducibility of findings. SFPs can also be grouped into albums, which are analogous to scientific journal articles. However, unlike journal publications, the piece-wise addition of SFPs to albums and their immediate availability online allows for a FASTER PACE of dissemination of new discoveries. OneLab implements a powerful search functionality that is based on STRUCTURED CONTENT. 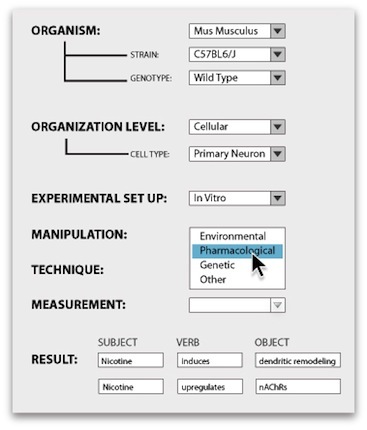 Users describe their SFPs using defined fields such as model organism, genes, proteins and assay. This additional layer of structure provides the basis for a SMARTER and more accurate search engine that understands searcher intent and therefore generates more relevant results. 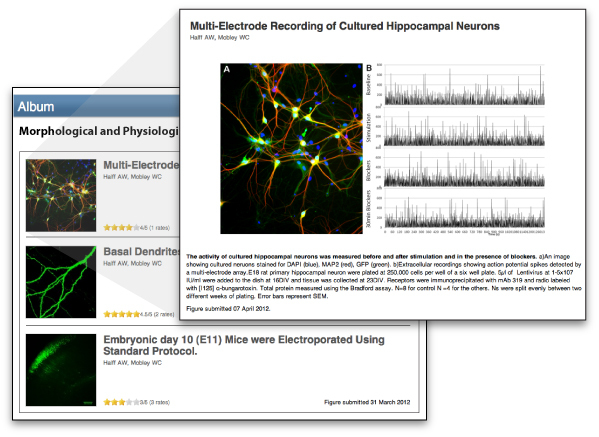 Structured content allows OneLab to go one step further by offering RECOMMENDATIONS based on similarities that might not be intuitive, thus increasing potential collaborations among scientists.